Remember how excited you used to be at the thought of trying something new, but then you found your groove and got comfy? Well, we’re here to prep you for a 2019 that will be full of new things, new ideas, new fitness and a few surprises! 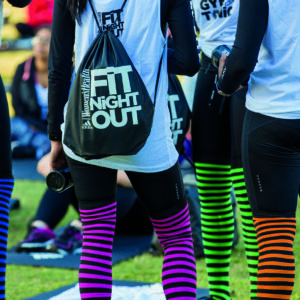 After the enormous success of Fit Night Out – which we now host in three cities across South Africa to more than five thousand women – all of us at Women’s Health have fallen in love with connecting in real time with our audience… But in this case, not making them sweat quite so much! In November 2018, we are launching the first ever Women’s Health Live Festival – a weekend of wellness. It will be held over 10 and 11 November at The Wanderers Sports Club in Johannesburg. Think of it as a Coachella of Wellness – two stages (loosely entitled Trends and Inspiration) supported by amazing speakers, panel conversations and interviews led by our editors chatting to our cover stars, fit family, social influencers and experts who will be sharing stories, experiences, expertise and knowledge. Finally a chance to ask Queen Fitnass, Mapule Ndhlovu, how to get those chocolate block abs? Or Takkies how she got her post-baby body back on track? Or PopUp Gym’s Letshego Zulu about her new mountaineering adventure next year to climb all seven global peaks. Or beauty experts what is best for your skin. Or the adidas performance team which shoes best suit your feet. Or our food editor Amy Hoppy what to eat at your desk for a healthy work hour lunch. Or The Fry Family Food Company how to eat better in 2019. Or author Sam Beckbessinger on how to manage your money better. Or Amanda du-Pont, well, really, anything – maybe just on how to be as glowy and super fabulous as Amanda du-Pont. The inaugural Women’s Health Live Festival is set to coincide with our 100th edition. In this issue we will be releasing our WH Hot 100 2019, profiling our pick of the local game changers, which will include our speaker line-up. This incredible access to these key names in their various spaces will be supported by beauty pop-up bars, like the ghd Styling Bar where you can have your hair styled and learn tips and techniques from the ghd Style Warriors. Our favourite beauty brands will be dishing makeovers and advice, while the fashion market will see a summer pop-up selling local labels across swimwear, kaftans, hats and cover ups, as well as a leggings bar and a Christmas pop-up with amazing local gift ideas from jewellery to stationary. 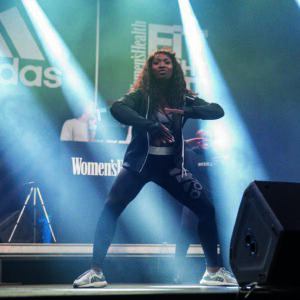 The stages will be taken over by the speakers, yes, and workshops, check, but also by fitness classes… Our favourites – Mapule and Takkies, Caralishious and Inge Bezuidenhout will all be making an appearance to take the crowd through movement sessions. All four of these women will be amongst the luminaries who will be joining us on stage. Tickets are on sale for R350 per day at Quicket.co.za (or R500 for a weekend pass). Your entrance fee gets you access to all classes, all stage presentations and pop-up workouts and beauty treatments and grazing tables, as well as a loads of samples and beauty and foodie treats from our exhibitors to fill your goodie bags. Doors open at 10am and close at 5pm. Women’s Health Live! Festival is brought to you in association with adidas, ghd, The Body Shop and Frys.